What is the cost of living in Warsaw? Poland is widely-recognised as a source of some of the greatest minds and personalities in history, such as Marie Curie, Nicolaus Copernicus, Frederic Chopin and Pope John Paul II. However, the country is not only known for its remarkable cultural and historical profile, but also its economic resilience, as seen by the aftermath of the 2008 global financial crisis. In 2009, when most European economies were in a shambles and the whole EU’s GDP went down by 4.5%, Poland was the only EU nation to show economic strength. The country’s economy even exhibited a growth of 1.7% in 2009 and has been growing since, with a 16% projection of cumulative economic growth from 2009 to 2014. Compared to its European neighbours, Poland has a relatively low cost of living, ranking 142nd in Mercer’s Cost of Living Survey for 2014. For expats, this may be considered a plus, but incomes in the country are also comparatively lower (only about 25% of the annual income of those in other EU countries). 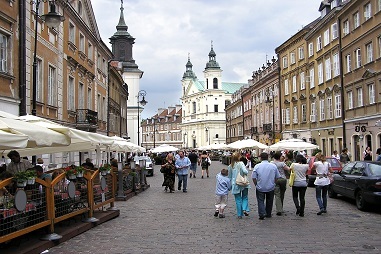 Poland remains a popular destination among expats. Latest statistics from the Institute for Public Policy Research states that nearly 6,000 British citizens live there, with the majority settling in the capital, Warsaw, which is the focus this week. *As of writing, the exchange rate is Polish Zloty (PLN) 1.00 is to EUR 0.24 or GBP 0.19. As in any other city, the cost of housing in Warsaw generally depends on the type of housing, location and accessibility of major services. Despite having the lowest rental prices among European cities, expats should expect to spend 20%-30% of their salaries on accommodation alone (although for many, this cost is covered by their employer). The most popular housing locations for expats are the Mokotów, Wilanów and Konstancin districts, which are also the most expensive districts as they are home to most embassies, diplomats, Polish politicians, and celebrities. A 3-bedroom apartment in these locations can cost PLN 5,000-8,000 per month. On the other hand, detached houses and villas with four or more bedrooms can cost as much as PLN 15,000-25,000. Expats may also find that accommodation in the Mokotów district is slightly more expensive as it is much closer to the city centre. Expats looking for more affordable accommodation will find the district of Ursynów to their preference. A purely residential area, Ursynów is a good choice for nature-lovers. However, there are only a limited number of international schools in the district, making it a good choice for single expats and families with very young children. A 3-bedroom apartment in any of these locations can cost PLN 3,000-6,000, whilst a detached house or villa can cost PLN 7,000-10,000. Expats should also note that some landlords require a deposit of at least three months rent, and some will even request six months. For expats planning to settle in Poland for good, owning a property could be a good option as housing prices in the country are low compared to its EU neighbours. Nationals of EU member countries should not encounter any difficulty in owning a property in the country. On the other hand, non-EU citizens should apply to the Ministry of Interior and Administration for a permit to purchase a property. Property prices in more popular districts will naturally cost more than those in more modest areas. A 3-bedroom apartment in Mokotów or Wilanów can cost at least PLN 400,000, whilst one in Ursynów can cost PLN 300,000. On the other hand, detached houses with 4 or more bedrooms can cost as much as PLN 3,000,000 in the popular districts but may be purchased for half the price in more modest locations. Apart from property prices, one should also take into consideration the additional charges when purchasing a property in Poland, such as real estate fees (2%-3% of the property price), sales tax (2%), and notary fees (2%-3%). Utility costs in Poland are considered to be one of the lowest in Europe. Needless to say, utility bills (electricity, heating and water) largely depend on consumption and the size of accommodation. In general, single expats should expect their utility bills to be at least PLN 500, whilst expat families with larger accommodations should expect their utility costs to reach PLN 1,000. Expats in Poland will also not find mobile and Internet services in the country to be lacking. Major telecommunication companies in the country, such as Era (owned by T-Mobile) and Plus GSM (operated by Vodafone), have a lot of affordable mobile and Internet offers, which can cost at least PLN 30.00 and PLN 40.00 per month, respectively. Monthly food expenses generally depend on your lifestyle and food choices. Expats used to the European kind of lifestyle will find familiar brands in Warsaw , but these imported items could be 30% more expensive than in Western European cities, such as London. However, opting for Polish products can easily save you money on groceries, as they cost 50% less than those in other EU cities. Using the Economist’s Big Mac and Starbucks Indices to compare the purchasing power of individuals in different cities, we learn a Big Mac (PLN 9.20) and Grande Caffe Latte (PLN 11.50) in Warsaw cost much less than in London and other European cities. Poland boasts an efficient public transport system and is much more affordable than in other EU cities. Warsaw, through the Warsaw Transport Authority (WTA), has a network of buses, trams and trains. The train ticketing system in Warsaw can be complicated. There are one-time tickets (allowing an individual to travel within 120 minutes), time-limited tickets (maximum validity of 7 days), and long-term personal tickets (valid for 30 days or more). A long-term personal ticket costs around PLN 110, which is valid for 30 days, but this would vary depending on your location within the city centre and how often you commute. A regular bus fare can cost as low as PLN 4.00, whilst the starting rate for taxis in Warsaw is PLN 8.00. After this, it is an additional PLN 2.00-3.00 per km, with an average fare being around PLN 20–30. However, taxi rates may increase on Sundays, holidays and after midnight. Moreover, students, children and senior citizens enjoy a 50% discount on public transport tickets. Although still more expensive than say Middle East standards, petrol prices in Poland can be much cheaper than in other European cities. A litre of petrol can cost PLN 5.70, which is 35% lower than petrol prices in the UK. Moreover, car prices are less expensive in Poland than its European neighbours by 40%. For example, a Honda Civic can cost around PLN 75,000, whilst one in the UK costs PLN 105,000. In recent years, Poland has implemented a lot of reforms in its education system, greatly improving the quality of education available. Poland’s public (state), private and international schools are on a par with those in other European cities, the latter being the usual choice for expat parents. Expats with very young children and who are planning to stay in Poland for good might find public schools to suit their needs as they are subsidised by the government and use Polish as the language of instruction. Young children may find it easier to adapt to the new environment and learn the language. On the other hand, most private schools in Poland are run by religious and social organisations and partly-funded by the government. Private schools generally use Polish as the medium of instruction, although some cater to specific nationalities. Even with government subsidies, expats should still expect to spend at least PLN 20,000 on school fees annually. Most expats send their children to international schools, which generally use the International Baccalaureat curriculum. As in other European cities, securing places in international schools can be highly competitive, so it is advised that expat parents organise school slots for their children before moving to Poland. Moreover, tuition fees in international schools can be very high. For example, The British School Warsaw charges PLN 30,000 for Preschool and PLN 76,000 for Years 12-13. Public healthcare in Poland is financed by the government through the National Health Fund (NFZ) and every employed individual has to contribute, which is generally done through salary deductions (around 9% of monthly income). Self-employed individuals can also take advantage of the healthcare system by providing voluntary contributions. Through these contributions, the NFZ pays for the healthcare services used by both Polish and foreign nationals from either public or private health institutions. However, some expats also choose to acquire private health insurance on top of the mandatory public one to avoid waiting lists, as some of the free health services operate on a quota basis. For example, expats who need both a medical consultation and treatment might have to wait for months to acquire the latter, as institutions may have already reached their quotas for a specific time. Typical of European cities, Poland has a lot to offer when it comes to entertainment. Dining out can offer a different experience because of the presence of very affordable restaurants and stores such as milk bars, called bar mleczny. These are Polish restaurants subsidised by the state with the ambiance of the 1970’s and meals that can cost as little as PLN 2.0. In general, meals in Warsaw are less expensive than in other European cities. A dinner for two in a mid-range restaurant can cost PLN 70. Fine dining will cost more but is still inexpensive. Moreover, party-goers will be pleased to know that alcoholic drinks are also much cheaper, around 50% less than some European cities. Culture fanatics will also find a lot of museums, theatres and operas to visit. Those who want to witness the impressive collection of foreign and Polish art of the National Museum in Warsaw, such as one of Sandro Botticelli’s Madonna and Child, can expect to spend only PLN 15.00 for a ticket. On the other hand, theatre and opera enthusiasts will find a variety of shows and performances in Teatr Narodowy (The National Theatre) and Teatr Wielki (Polish National Opera). Poland remains an attractive destination for expats, not only because of the relatively low cost of living but also because of the general disposition of the Polish people. Expats will certainly find the general population to be welcoming and have no difficulty in finding new friends. Those seeking the expat life in the country will not only gain great insight into Poland’s past but will also find it an ideal place to live in because of its vigorous urban life, as well as the well-preserved nature in the rural areas. 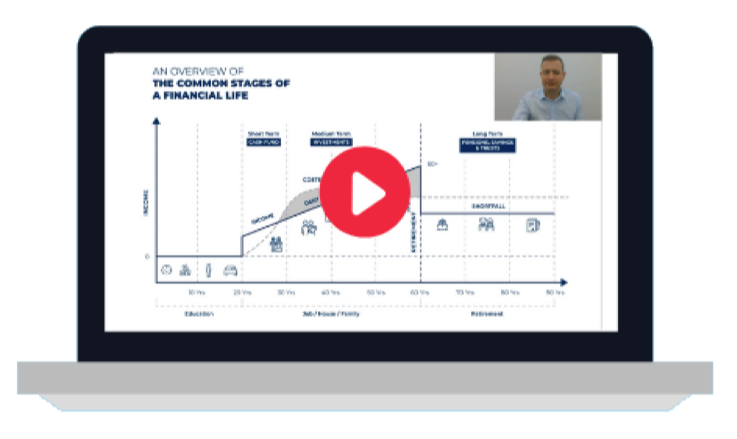 However, you might find yourself in a different financial environment from your home country, especially when taking income into consideration. So like we always say in our Cost of Living Guide, it is extremely important that you evaluate your lifestyle and financial capability before moving overseas.